The story is weird and violent and sort of poetically beautiful in how sad it is. At the center of it all is a man named Shadow Moon, who has been recruited by the de facto-leader of the Old Gods – Mr. Wednesday, or as most people know him, Odin. We still don’t know exactly what Moon’s purpose in all of this is, but he’s just as lost as the viewers. Along the way, the audience is introduced to a leprechaun, a zombie, and several versions of Jesus. We’ve met the Ancient Egyptian God of Writing and Wisdom, the Queen of Sheba, and Easter – the Germanic goddess of the earth, spring, fertility, and the harvest, to name just a few. There is a lot to unpack here, but it looks like the show will take fans — and Shadow — back through time to see what happened, or could have happened. It’s all very mysterious. One change that we’ll see in season two is to the role of Media, played brilliantly in the first season by X-Files veteran Gillian Anderson, who has since left the show, will now see Kahyun Kim in the part. That’s a big change, going from a genre icon like Anderson to a relative unknown like Kim, who’s resume boast credits like one episode of Shameless, or a role in a made-for-TV remake of Freaky Friday. Hopefully, Kim can deliver on what could be a huge break for her. Conversely, adding to the cast, and seen quickly in the trailer, Dean Winters will be playing Mr. Town opposite of Crispin Glover’s Mr. World. Mr. Town — described as “one of the Spooks who works for Mr. World” — should be just about a perfect fit for Winters, who has perfected this type of character over the last two decades. With villainous turns in everything from Oz and John Wick to Dennis Duffy on 30 Rock or “Mayhem” in the All-State commercials. Dean Winters casting is always an addition to any project. The rest of the cast features the likes of Emily Browning, Pablo Schreiber, Cloris Leachman, Peter Stormare, Orlando Jones, Kristin Chenoweth, Ian McShane and our star – Ricky Whittle as Shadow Moon. 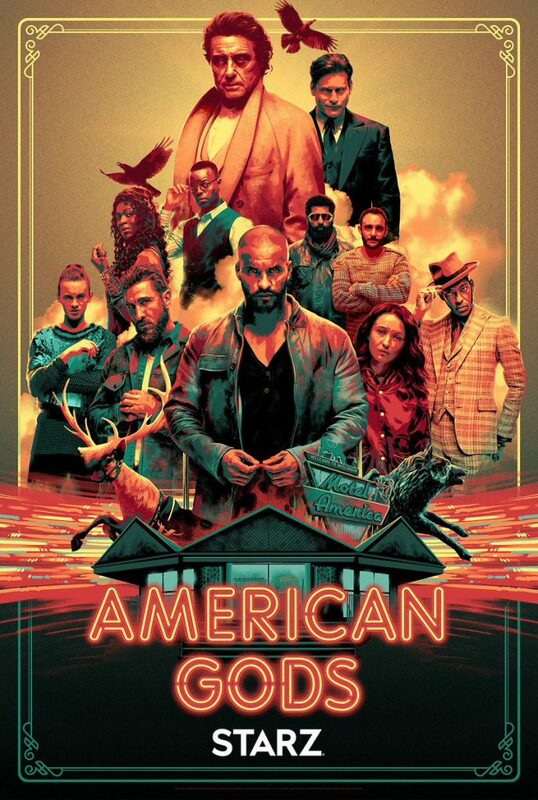 American Gods will return on Sunday, March 10th, 2019.